Today is Remembrance Day in Canada. Because I was born in the Southern Hemisphere most of my family was not affected directly by either of the world wars or the subsequent wars that followed. On my mother’s side I have a few Filipino relatives who weathered the Japanese occupation of Manila in WW II. But there are no soldiers in my family who ever risked their lives. The exception may have been one or two cousins of my Basque grandfather who fought in the Spanish Civil War. One was shot by a firing squad. So my experience of Remembrance Day is limited to the many books I have read and have in my library about the world’s wars. My experience in the Argentine Navy preceded the Falklands’s War. The only pang of pain I ever felt about that war was seeing on TV an Argentine Navy Skyhawk skimming across the horizon during the Battle of Goose Green and watching it suddenly explode into a puff. I had a few years before translated from English into Spanish the operating and maintenance manuals for these planes that had been purchased from the United States. I told myself that the pilot officer had chosen to be a career military man so his demise did not affect me. I did not know him. But I knew his plane in great detail! I did feel sorry for all those Argentine conscripts who were ill-equipped, poorly trained and no match for a real professional army. While walking in the debris of our garden (many of the plants we have taken in a van to my daughter’s property in Lillooet) I noticed one rose in bloom. In my shady garden this is a rare occurrence in November. The rose is an English Rose called Brother Cadfael. 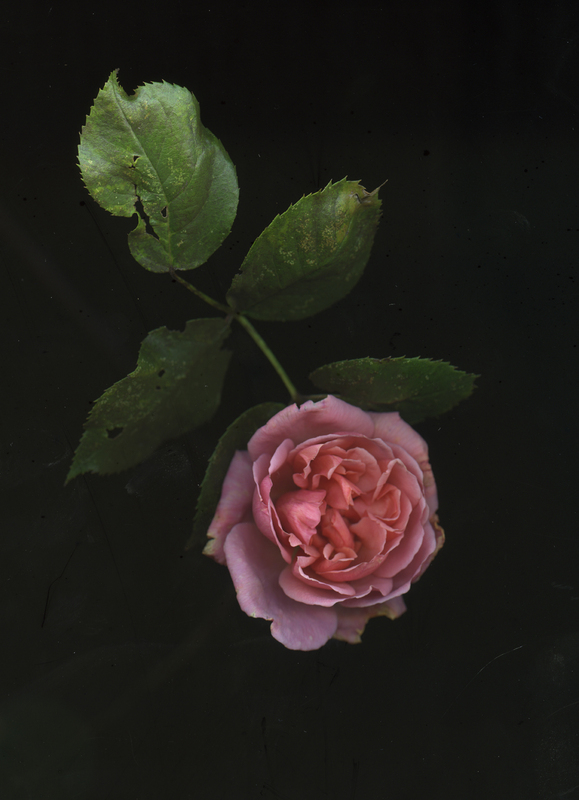 Some years ago I took a lovely gicleé scan of the rose to my mentor Brother Edwin Reggio, C.S.C. as a gift. A couple of months later I visited him and noticed that over his guest my print had been handsomely framed (he made the frame) and that it had a brass plaque with the name of the rose and that I had given it to him. Brother Edwin died in 2013. I miss him. Rosa ‘Brother Cadfael’ in bloom today is a fine remembrance of the man who helped me become one.